I CAN’T really describe it as a typical Sunday afternoon. I found myself standing in a farmhouse, in the wilds of County Clare, holding a pot of tea while wearing a “Mrs Doyle” facemask. Of course, that won’t mean much to you if you aren’t a fan of Father Ted, the classic comedy series. But for those who are, despite it being more than 20 years since the last episode of the series was recorded, its popularity doesn’t appear to have waned. And the iconic house, despite being a private family home, still acts as a magnet for fans of the show. That’s how I found myself in that odd position recently as the family who live there occasionally offer afternoon tea in the front room to those who pre-book. 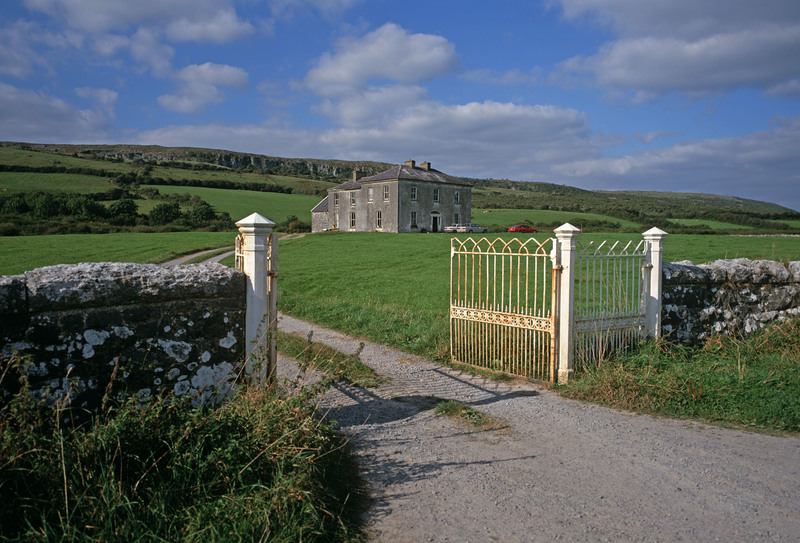 The Father Ted House is found in the middle of The Burren, a wild natural landscape that stretches to the Cliffs of Moher and includes the Aillwee Cave. On the wet and windy day we visited the area, it certainly lived up to its moniker as the Wild Atlantic Way. For this part of the trip, we based ourselves in Galway city. Without giving my age away, I last visited some 30 years ago as a teenager, so I thought I wouldn’t remember the city that well. But it’s funny how memories come flooding back when you revisit a place. We passed the historic Spanish Arch and headed to Salthill, a holiday destination, making our way along the promenade, which has the typical holiday fayre of amusement arcades, hotels, restaurants and ice cream shops. Back in Galway, our hotel was the well-appointed Galmont Hotel and Spa in the city centre. The corner room we occupied offered spectacular views across the harbour. We wandered through Eyre Square and, attracted by the sound of live music, walked towards Shop Street and discovered hordes of people shopping, chatting or being entertained by buskers. 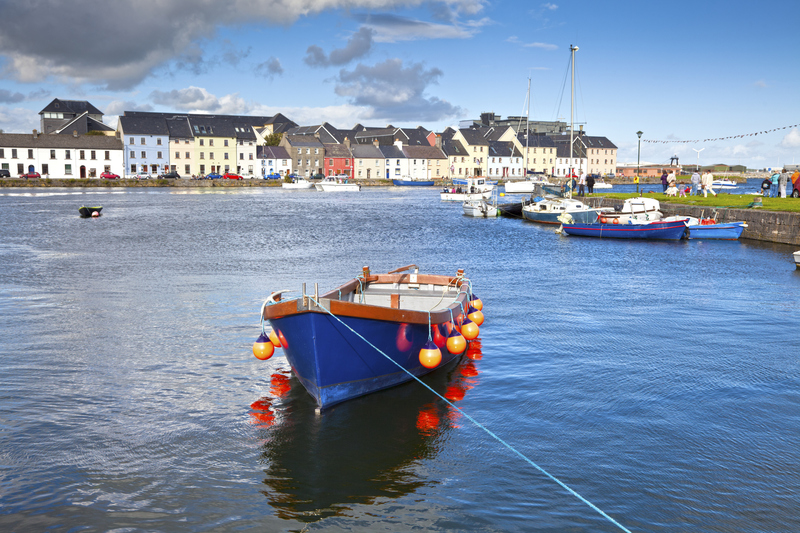 There is something really special about Galway. With its café culture, live music at every turn and a friendly atmosphere, it reminded us of the streets of the Left Bank in Paris. 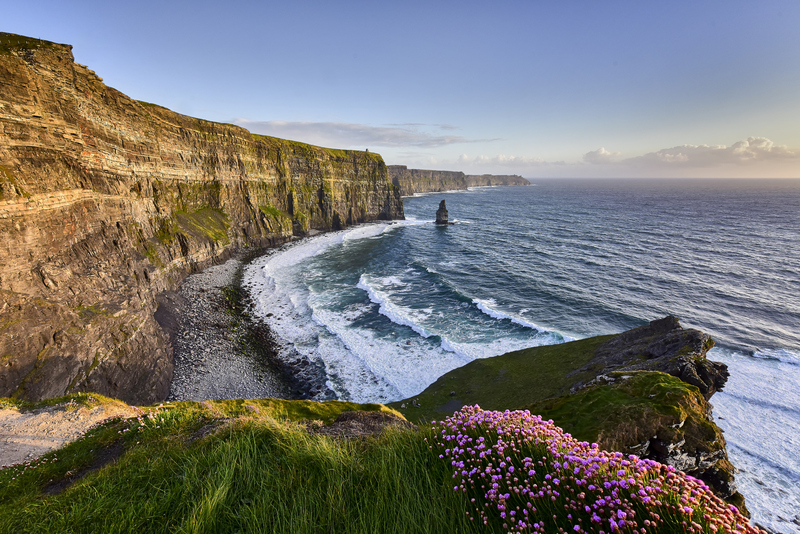 The same friendly atmosphere can also be found in Donegal Town, two hours north of Galway. While much smaller, the town offers a lot for visitors including a castle and harbour area. The town is also a hotbed for Irish country music and the Abbey Hotel is the epicentre with regular concerts and shows. Our visit coincided with the Taste Of Donegal food festival, which was a fantastic way to sample local dishes and drinks. Our Donegal highlight was our stay at the Lough Eske Castle Hotel, set in 43 acres at the end of a long driveway. Despite being one of the few five-star hotels in Ireland, it was so welcoming, it felt more like staying at someone’s home. The public lounge areas were very comfortable and are heated by traditional peat fires. Even though I am quite shy, I found myself in several conversations with total strangers, such was the convivial atmosphere. Dining was another delightful experience. The restaurant staff were very attentive and the food was locally produced – and tasty. The grounds and the Lough were a great location for a walk and the swimming pool and spa are great for the rainy days. We were quite taken by the breathtaking scenery along the Wild Atlantic Way, but didn’t even see a quarter of it on this trip, so we will definitely be back. Flights to City of Derry airport allow for easy access to the Wild Atlantic Way, as does the ferry from Cairnryan to Belfast or Larne. 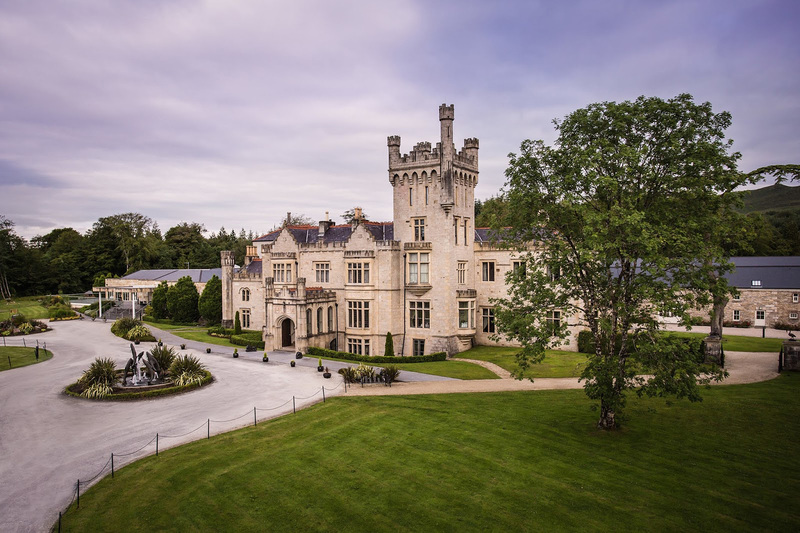 One-night midweek B&B at Lough Eske Castle start from £150 per room, and at Galway’s Galmont Hotel from £130.